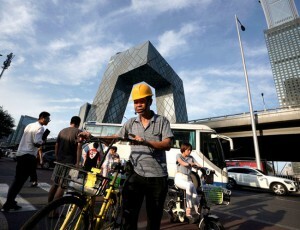 The Chinese economy revealed fresh signs of softness Friday with data showing the pace of investment slowing to record lows while retail spending and industrial production stabilised. Beijing faces a delicate balancing act, aiming to shift its growth driver away from investment and exports towards personal consumption, while at the same time battling a mountain of debt. The trade spat with major export destination the United States has complicated the task and sent domestic stock markets tumbling to lows not seen since the 2016 collapse. US President Donald Trump has threatened to slap higher taxes on every Chinese product coming into the USthough another round of high-level talks could be in the offing. Still on Thursday Trump threw cold water on hopes for those negotiations. “We are under no pressure to make a deal with China, they are under pressure to make a deal with us,” Trump tweeted. “Our markets are surging, theirs are collapsing…If we meet, we meet?” China’s National Bureau of Statistics, which released the new data Friday, said the trade spat has had a limited effect on economic data so far. But it “certainly had an impact” from the perspective of the two countries and their people, said NBS spokesman Mao Shengyong. “Trade protection has cast a shadow over the recovery of the world economy,” Mao said. Fixed-asset investment, a key economic driver for China, expanded just 5.3 percent in on-year January-August compared with the same period last year. That is slower than the 5.5 percent in January-July, which was the lowest level on record. China’s cabinet has indicated it will step up support for the economy and quicken infrastructure project approval in coming months but experts do not expect the measures to kick in until next year. Output at factories and workshops ticked up 6.1 percent in August, from 6.0 percent in July, according to the NBS, and in line with the forecast in a Bloomberg News survey. Retail sales, a window into Beijing’s aim to get consumers spending to drive the economy, expanded 9.0 percent for the month, from 8.8 percent in July and beating estimates of 8.8 percent. But analysts warned part of the jump could be attributed to higher inflation. The data does “little to change our view that growth remains on a downward trajectory”, said Julian Evans-Pritchard of Capital Economics. “We think growth will continue to slow in the coming months given that policy stimulus has so far failed to drive a turnaround in infrastructure spending or broader credit growth,” said Evans-Pritchard.